ARE YOU CONCERNED YOU MIGHT HAVE DRY EYE? Dry eye is a syndrome that affects a surprising number of people. Today an estimated 30% of Canadians are affected; there is a good chance that you or someone you know is living with dry eye. There are several different treatments available to alleviate the suffering associated with this condition. The tears your eyes normally produce are necessary for overall eye health and clear vision. Dry eye occurs when your eyes do not produce enough tears or produce tears that do not have the proper chemical composition. Dry eye may also be caused by your tears excessively evaporating. Exposure to certain environmental conditions. Decreased blinking when concentrating or using a computer. Medications such as antihistamines, oral contraceptives or antidepressants. Be symptomatic of general health problems, such as arthritis. UV exposure and environmental irritants. The presence of mites that live in the eyelash follicles. WHAT ARE SIGNS/SYMPTOMS OF DRY EYE? Stinging, gritty, scratchy and uncomfortable eyes. Feeling of something foreign within the eye. During the examination, your optometrist will ask you questions about your general health, your use of medications and your home and work environments to determine any factors which may be causing dry eye symptoms. This information will help y our optometrist decides whether to perform additional dry eye testing. The use of a high-powered microscope known as a slit lamp, in conjunction with special dyes, will allow your optometrist to evaluate the quality, the amount and the distribution of tears. This will detect signs of dry eyes. Dry eye is usually chronic and cannot be cured, but your comfort can be improved and eye health maintained through the use of artificial tears. For more severe dry eye, gels and ointments can be used, especially at bedtime. Dr. Kniaziew and his team are the best source to advise the best drops for you. In some cases, small plugs can be put in the corner of the eyelids to slow drainage and loss of tears. Treating any underlying systemic disease (disease starting in other organs, but affects the eyes), or a change in diet (adding fish or flaxseed oil) can also be helpful at times. A therapy involving heat and pressure is available to clear any poorly functioning oil glands and allows the body to return to the natural production of oils required for proper tear composition. As well, new prescription medications are now available to help your body produce more of its own tears or reduce eyelid inflammation. Dr. Kniaziew and associates can assess your tear film and its deficiencies and recommend the best treatment option for you. WILL DRY EYE HARM MY EYES? If dry eye is left untreated, it can be harmful. Excessive dry eye can damage tissue and possibly scar the sensitive corneal tissues of your eye, impairing vision. Dry eye can make contact lens wear more difficult due to increased irritation and greater chance of infection. To keep dry eye symptoms in check, you and the team at Kniaziew Optometry need to work together. Follow your doctor’s instructions carefully. 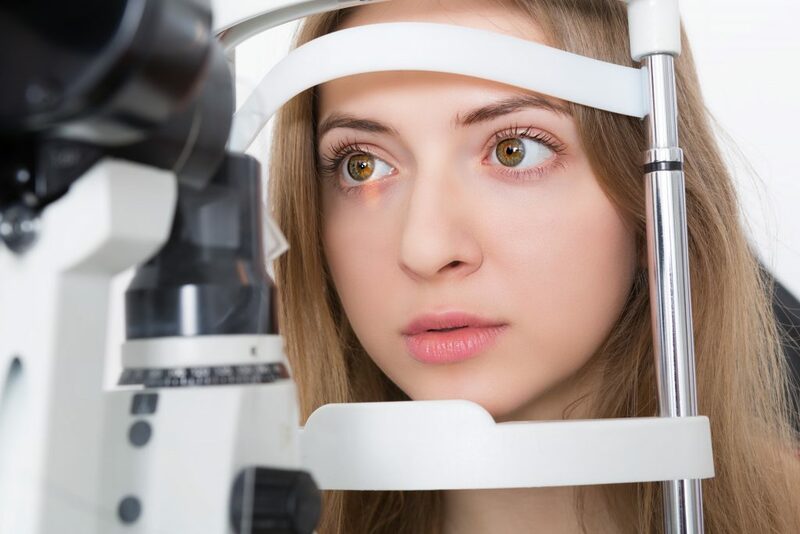 If you have increased dryness or redness that is not relieved by the prescribed treatment, let one of the Kniaziew Optometrists know as soon as possible. IS THERE A LINK BETWEEN DRY EYE AND ALLERGIES? Current research supports a link between dry eye and allergies. Dry eye symptoms are more developed and frequent during allergy season.